In 1966, a veteran—possibly suffering from PTSD—climbed into the watch tower at the University of Texas with a sniper rifle and proceeded to shoot and kill seventeen people, as well as wound another thirty-one. For ninety-six minutes, the nation watched what seemed to be an unimaginable, once-in-a-lifetime happening. This event was a total outlier to the norms of the United States. Surely, it would never happen again. February 14: Parkland, FL—17 killed & 14 wounded in a high school. June 28: Annapolis, MD—5 killed & 2 wounded at Capital Gazette. August 26: Jacksonville, FL—3 killed & 10 wounded at a convention for video game players. September 2: Birmingham, AL—1 killed & 6 wounded in a theater. September 28: Aberdeen, MD—4 killed & 3 wounded in a Rite Aid warehouse by an employee. October 27: Pittsburgh, PA—11 killed & 5 wounded in a synagogue during a service. November 7: Thousand Oaks, CA—12 killed & 11 wounded in a bar. 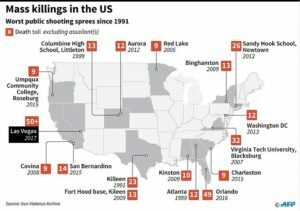 The shootings in Las Vegas (2017), Seattle (2015), Washington Navy Yard (2013), Aurora (2012), Virginia Tech (2007), Edgewater Tech, Wakefield, MA (2000), and Columbine High (1999) are almost distant memories, crowded out by ever-new stories. These events are so common that to many, they are a given and expected part of life. What was once unthinkable, tragically, is now commonplace. 48% of these cases show no known relationship between the assailant and location and/or victims. 21% are committed by an employee, while the remaining 31% are by students, group members and various other parties. As business owners, community leaders, board members and risk managers, what does this mean to us and the financial wellbeing of our organization and communities? The scope of these events suggests that every organization should consider this as a risk. If a mass shooting or workplace violence event did occur at your organization, what will the standard coverage in force today provide? If employees are injured while working, Workers’ Compensation will respond. The WC benefits will be inadequate. If property is damaged, property coverage will probably respond after the deductible is satisfied. Often property damage does not surpass the cost of a property deductible. If autos are damaged, Commercial Auto will probably respond under Comprehensive coverage. If the property owner or event organizer is sued for negligence, the General Liability might respond up to the limits in place. An uninjured but severely traumatized employee cannot come back to work and is unable to earn income. Employees and the public no longer feel comfortable coming into a place of business leading to a period of income loss; a very long one, at that. Massive defense costs and liability settlements / judgements due to multiple deaths. Loss of reputation and the cost to rebuild it due to being associated with a heinous act compounding the business income loss. Wrongful Management Claims (Directors and Officers (D&O)) in that these types of events do not fall within the definition of wrongful management found in many Directors and Officers insurance policies. Understandably, today’s insurance programs are not designed to cover these horrific losses. This change in the commonplace of our culture has exposed a weak point and unclear area of insurance coverage. The insurance industry is moving to clarify coverage. Exclusions should be expected to be written into most policies to clearly eliminate coverage for an intended violent act. In addition to exclusions, many coverage forms will begin to change the definitions in the policies as well. This also will eliminate coverage for these situations. Therefore, just as it was appropriate to look to standalone Cyber coverage policy forms several years ago, it is now time to consider new standalone policy forms specifically designed to protect an organization from loss due to violent acts. Cyber coverage emerged with many different forms from many carriers, and now this coverage is considered “emerging.” In other words, there are many new policy forms and all of them are different. Is coverage limited to acts of terrorism or does it include all acts of violence? 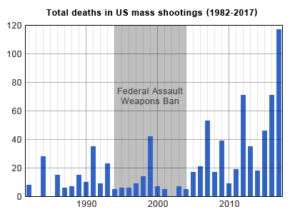 Does policy exclude acts of terror (TRIA) or include them? Is defense inside the limit of liability?Is the policy form designed to be “primary”? Does Business Income & Extra Expense coverage include an extended period of recovery? Does coverage respond to loss due to the threat of an event? Does the policy form include pre-loss Prevention and post-loss Control services? Does coverage include post-loss counseling and funeral expenses? Does policy provide training and drills? Does carrier have a Crisis Management Team at the ready? Does policy provide Security after an incident? Does policy provide post-loss Public Relations services and/or expenses? Any business with chemicals as part of the processThe time has come to recognize this form of loss as a reality. From a small office in Wakefield, MA in 2000, to the tragic events in 2018, it is evident we all can suffer this type of loss and possible financial ruin. Specific policies are available to address this horrid peril. As with all risks, investing time in exposure analysis, loss prevention & control techniques, and considering / procuring insurance can mean the difference between an organization’s survival and financial destruction. The new insurance programs can bring many services and coverages described above. In that the odds of this happening to any one organization are minimal, the premiums are on the lower end. While the odds and the premiums are low, the severity is enormous. As part of your organization’s program review, the time has come to include this sad aspect of our culture into our risk management and insurance planning.